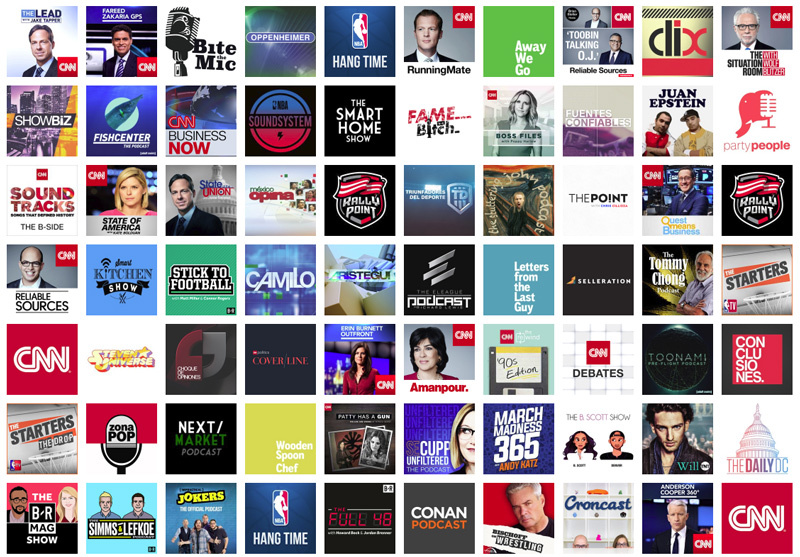 Buy podcast ads CNN, NBA, B/R, Forensic Files and more instantly! The #1 Podcast Ad Marketplace makes it easy to run targeted ads. Podcast advertising has never been simpler or more transparent than this. Curious how far your budget will go? Lots of inventory means low prices, but these deals won't last forever. Get in early! "The Knit Marketplace experience makes the process easy, instantaneous and preferable to traditional media buying." 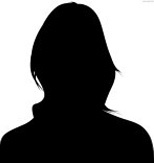 "I love the flexibility and specificity that the Marketplace offers. It's nice to have options like network-wide or time-based buys." Why pay an agency 15-20%? Buy more ads instead. Who wants to wait three months for their ad to start? Why waste money presenting your offer in Mongolia? Just like you do on other digital marketing platforms like Facebook, Google, and Linkedin. No middle man needed. Target specific locations, categories, days of week, and more to find your perfect audience. 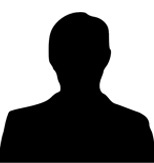 Don't waste time doing one-off deals with individual podcasters or paying a hefty agency fee. Advertise on names your customers know: CNN, Bleacher Report, the NBA, and many more. Need to pause a campaign? Stop it any time you want. Try doing that with your agency! "Knit is the perfect way to validate the efficacy of Podcast Marketing as a channel. It has proven to be a highly effective and scalable way test messaging, boost brand awareness and drive direct response conversions." Do You Want to Hear a Sample? With Knit, for the first time, you can advertise on podcasts just like you can on other digital platforms. With the other guys you'd need $10,000 just to get started. People are willing to pay that, because it works. But you don't have to. 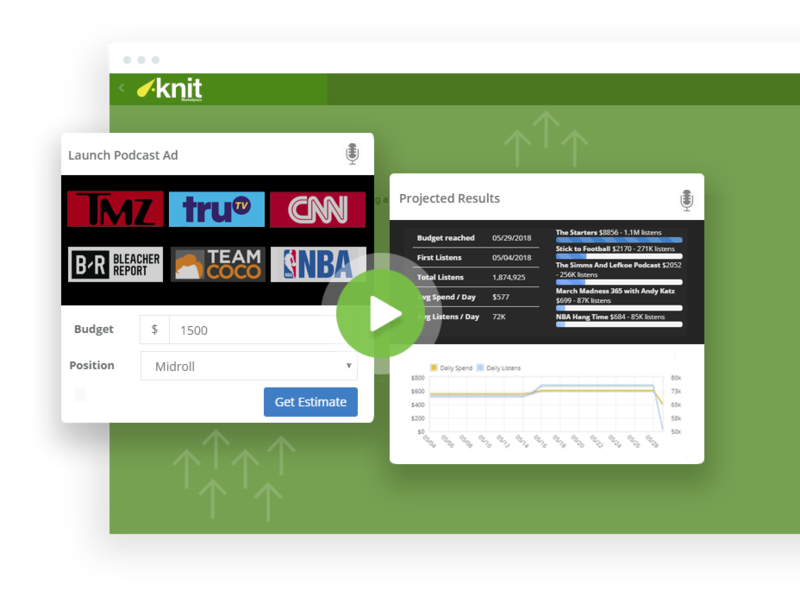 With Knit, we want to bring the effectiveness of podcast advertising to everyone. This is your chance to take advantage of this opportunity and run some podcast ads today.